With hot summmer weather already taking over New York, what better way to cool down than with ice cream? Emack & Bolio’s SoHo, known as ice cream for the connoisseur, has become my favorite go-to place for ice cream, smoothies, and coffee! Emack & Bolio’s opened in Boston in 1975. The store was named after two homeless men that the owners, who were lawyers, did pro bono work for. Each individual E&B store is slightly different, putting their own personal touch and creativity. The one thing they all have in common? Incredible, unique, ice cream. With flavors like Deep Purple Cow, Pumpkin, Mud Pie (Coffee ice cream with Oreo’s and chocolate pieces! ), the choices are endless. 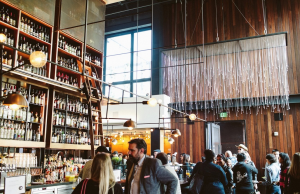 The Emack & Bolio’s SoHo is located at 73 West Houston. The store carries the E&B ice cream (Grasshopper Pie is a must try!) and coffee, but also has amazing smoothies (the Get Off Your Acai is my favorite). What stood out to me though, were the specialty waffle cones. I’d never seen a Rice Krispie cone until I walked into E&B. Famous photographer Terry Richardson had to stop to take picture of the cones (which you can see here). 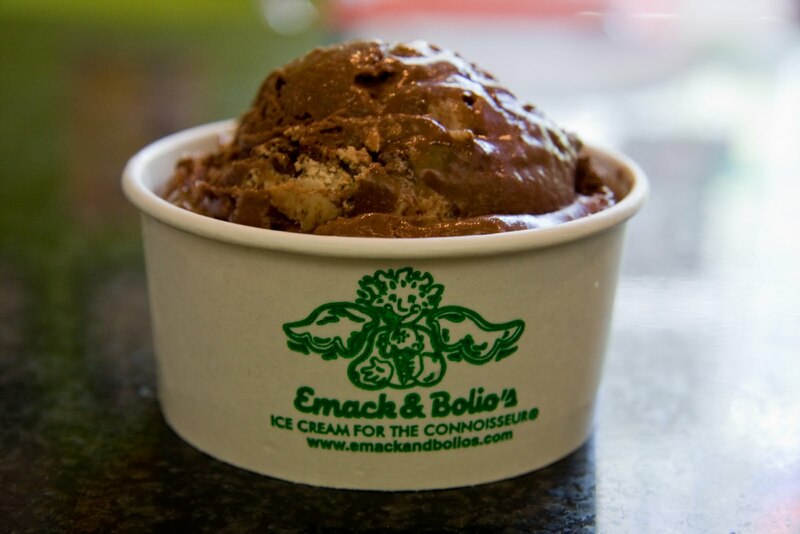 If you’re in New York City, make sure you add Emack & Bolio’s to your to-do list.